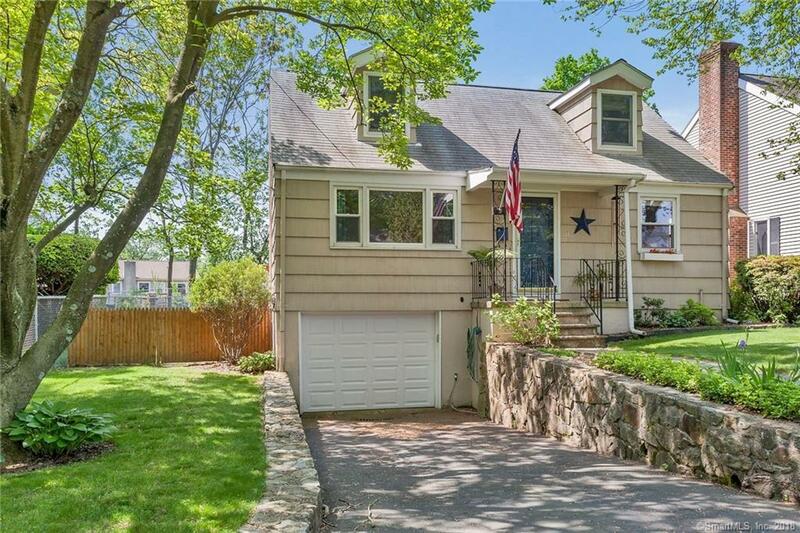 Updated, bright 3 bedroom, 2 bath Cape on quiet cul-de-sac. First floor opens with spacious living room with large picture window, formal dining room, and full bath. Renovated eat-in kitchen with granite counters and stainless steel appliances. Bedroom on the first floor with ample closet space can serve as guest room or office. Second floor offers 2 generous bedrooms with double closets and a full bath with glass shower. Gorgeous, level back yard is perfect for summer entertaining or relaxing. Property highlights include gleaming hardwood floors throughout, 2 zones of heating and central air, 200 amp electric service, tons of storage in basement, and an attached garage. Conveniently located close to I-95, Metro North, Stew Leonardâs, and Route 1 shopping and restaurants. Not to be missed!